Trump has previously announced the defeat of the group, but sleeper cells of fighters have re-emerged. With no signs of fighting Wednesday, however, the long-running battle to retake the militants’ last outpost in eastern Syria appeared to have reached its conclusion. "The caliphate is gone as of tonight," Trump said in a speech at a factory in Lima, Ohio, where military tanks are assembled. Pentagon officials have said the extremist group still hold small pockets of territory in the Middle East, presenting a continued threat. The complete fall of Baghouz would mark the end of the Islamic State group’s self-declared caliphate, which at its height stretched across large parts of Syria and Iraq. Controlling territory gave it room to launch attacks around the world. 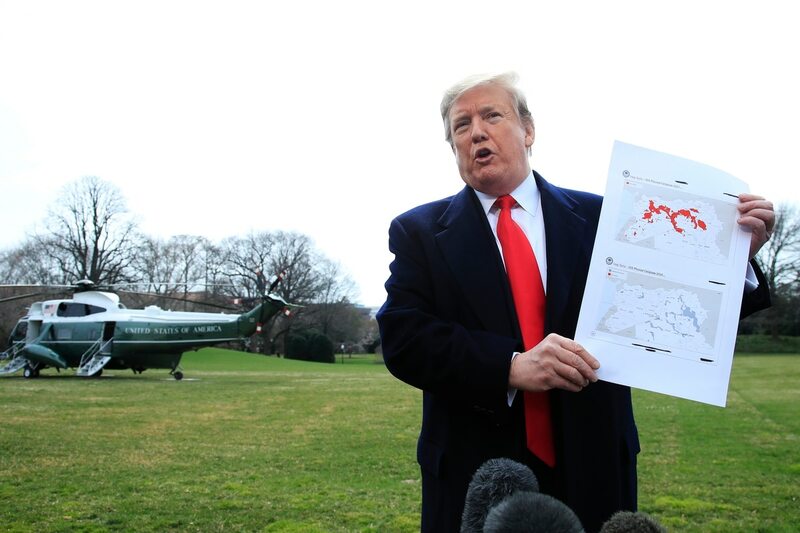 During his speech, Trump held up two maps of Syria — one covered in red representing territory held by the militant group when he was elected president in November 2016 and the other that had only a speck of red. "When I took over, it was a mess. They were all over the place — all over Syria and Iraq," said Trump, who has said the U.S. will keep 400 troops in Syria indefinitely. For the past four years, U.S.-led forces have waged a destructive campaign against the group. But even after Baghouz’s fall, ISIS maintains a scattered presence and sleeper cells that threaten a continuing insurgency. The militants have been putting up a desperate fight, their notorious propaganda machine working even on the brink of collapse. The battle for Baghouz has dragged on for weeks and the encampment had proven a major battleground, with tents covering foxholes and underground tunnels. The siege has also been slowed by the unexpectedly large number of civilians in Baghouz, most of them families of ISIS members. Over past weeks they have been flowing out, exhausted, hungry and often wounded. The sheer number who emerged — nearly 30,000 since early January, according to Kurdish officials — took the Syrian Democratic Forces by surprise. 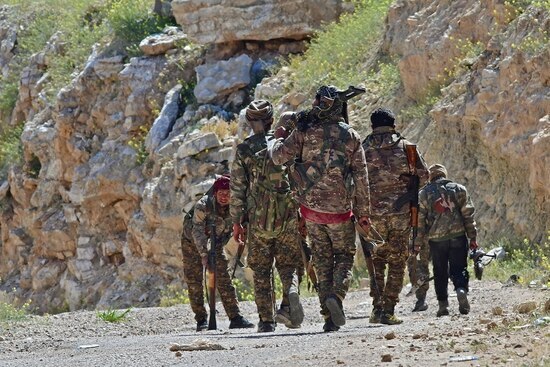 Ciyager Amed, an official with the Kurdish-led SDF, said they were searching for any ISIS militants hiding in tunnels in a riverside pocket in the village of Baghouz. The SDF has not yet announced a victory over ISIS. Associated Press journalists saw SDF soldiers loading women and children into trailer trucks on the hilltop over Baghouz — a sign that evacuations were still underway Wednesday. Black smoke was rising from the village. On Tuesday, the SDF seized control of the encampment held by ISIS after hundreds of militants surrendered overnight, signaling the group’s collapse after months of stiff resistance.